My curiosity brought me to the neighbourhood of Bukit Batok East Ave 2 after a reader dropped me a message informing of a very good curry puff place there. 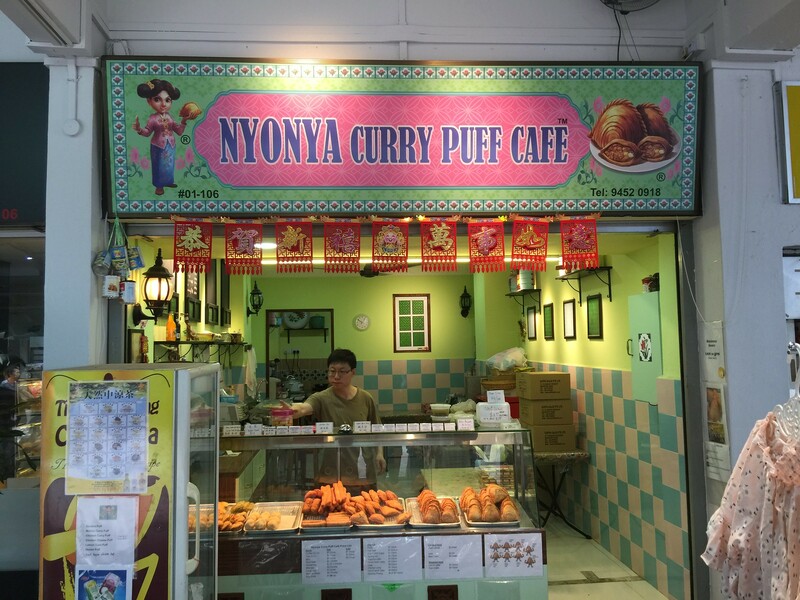 Nyonya Curry Puff Cafe is not actually a sit down cafe, it is more of a takeaway kiosk selling a variety of puffs, snacks and light bites. The deep fried Chicken Curry Puff ($1.30/pc) comes with a crispy and flaky pastry skin. A bite into it, my eyes brighten up. 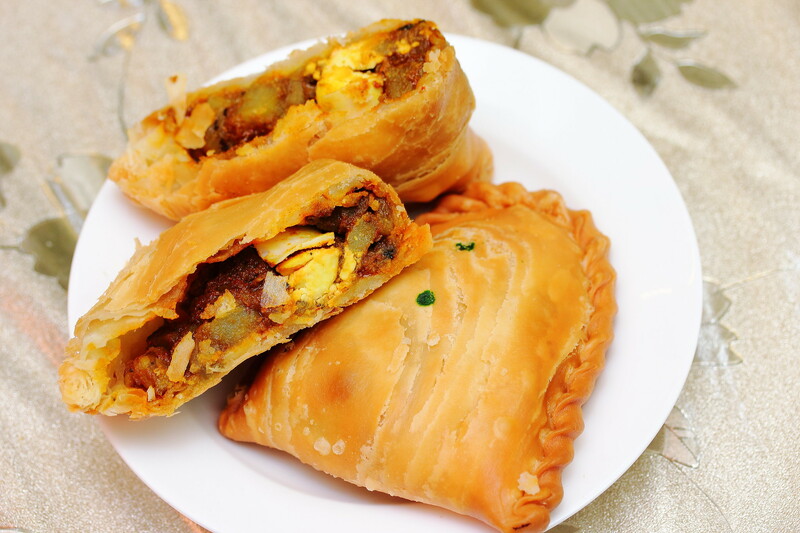 The inside of the puff comes with chicken, potato, egg stuffing perfumed by the spices which you can taste in Indian curry. I really enjoyed this. 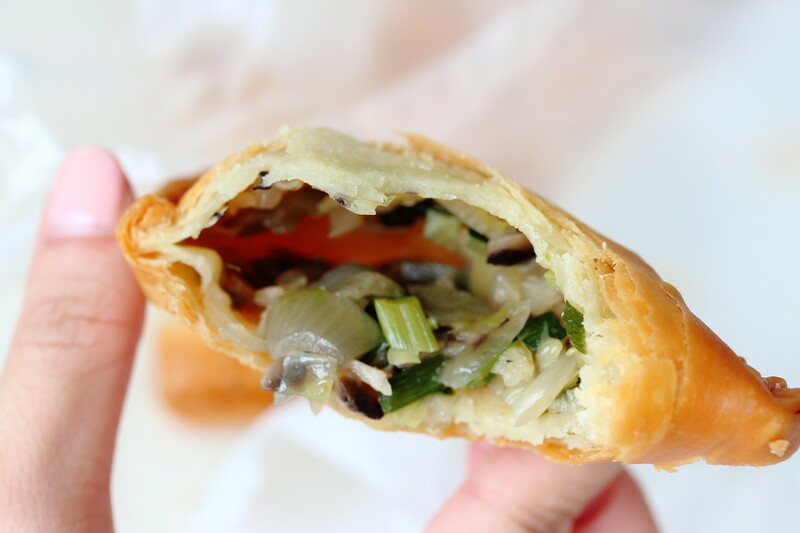 For vegetarian, there is the Ku Cai Mushroom Puff. This is something new, I have never heard or seen it elsewhere. I am a fan of ku cai and with the additional of mushroom and onion, the flavour is given a further lift. I like the creation. Even non vegetarian should give it a try. Besides the two puffs that I tried. the cafe offers a wide varieties of creation. 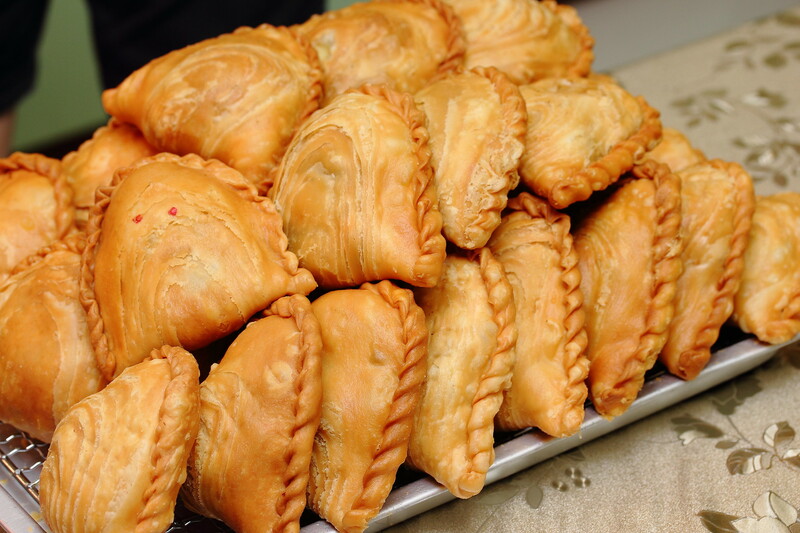 They also sells Sardine Puff, Lemon Tuna Puff, Mutton Curry Puff, Black Pepper Puff, Chicken Cheese Puff and Durian Puff. Some interesting item such as lemon tuna, chicken cheese and durian caught my attention. I already planning to come back and try them. That's an interesting find, the ku chai puff. Thanks for introducing!